Cross Montana off the list. All three state contenders vying to house a group of federal agencies under the U.S. Department of Agriculture have been eliminated from the selection process, the Missoula Economic Partnership said late Monday. By applying, MEP had placed Missoula among 136 locals in 35 states interested in housing the Economic Research Service and the National Institute of Food and Agriculture, both of which are leaving Washington, D.C., some time this year. The Innovations Campus at Montana State University in Bozeman also applied for the program, as did Big Sky Economic Development in Billings. They too were eliminated. After discussing the impetus behind their application, MEP found out that Missoula didn’t make the final cut. It wasn’t completely unexpected given the large pool of applicants. With the exception of Tempe, Arizona; Denver; and Toole County, Utah; all the remaining contenders were located in the South or Midwest. 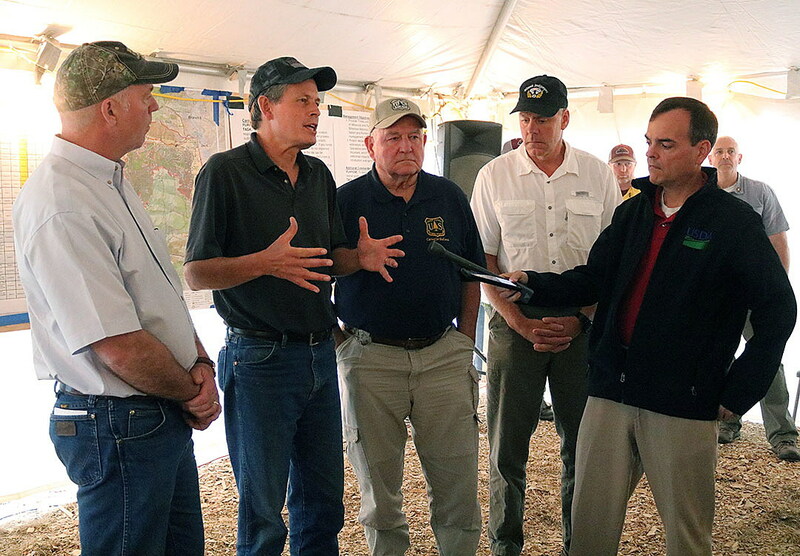 “The announcement of this middle list shows that we are committed to the important missions of these agencies and transparency in our selection process,” Secretary of Agriculture Sonny Perdue said in a statement. “USDA will make the best choice for our employees and customers,” Perdue said. MEP applied to the USDA application by citing Missoula’s existing research at the University of Montana and the presence of the U.S. Forest Service, itself under the USDA. It also saw the potential of filling the vacant federal building in downtown Missoula. “We applied for that because these would obviously be high-paying jobs targeted to our community,” Grant Kier, executive director of the Missoula Economic Partnership, said Monday.